Volume V of the How to Dance Through Time series teaches exciting variations on the basic Waltz, Polka, Galop (Gallop), and Mazurka. The Victorian Era’s themes of freedom and revelry were manifest in the ballroom; dancers celebrated the tradition of classic dances by adding new embellishments. 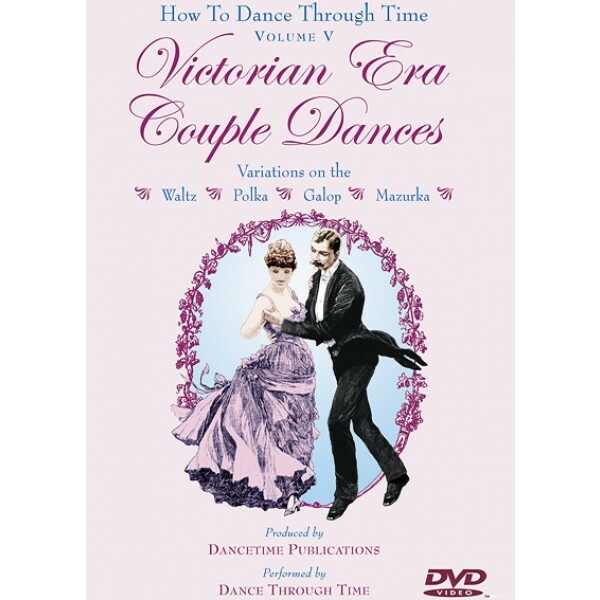 Volume V: Victorian Era Couple Dances introduces 24 versions of the classic dances learned in Volume I: the Waltz, Polka, Galop (Gallop), and Mazurka. A kaleidoscope of variations, this video teaches viewers how to add fun and improvisational sequences to these romantic dances.In Victorian times, the Waltz burgeoned with multiple new turning patterns; the Polka developed whimsical, hopping variations; the Galop chassed to a new level of expertise; and the Mazurka blossomed into virtuosic displays of skillfulness. 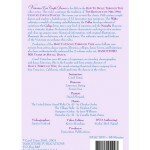 Most people who buy this DVD also buy the Companion CD. Learn the basics first! Master the mid-19th century, beginner’s versions of the Waltz, Polka, Galop, and Mazurka on How To Dance Through Time, Volume I: Mid-19th Century Couple Dances. With 40 years of experience teaching and performing dance, Carol Téten provides clear instructions and entertaining context. As with all videos in the How to Dance Through Time series, the dances in Volume V are introduced with a concise, historical overview and illustrated with authentic photographs and drawings. The steps were carefully researched from period manuscripts and are recreations of historical dances. Close up and slow motion views make learning the moves simple and fun. he organization of the material in each of these sets is first to go over each step of a dance several times in different tempos, from different angles, and with full explanations by the creator and head of the company, Carol Téten. You can watch, then skip back and try the steps yourself as you watch a second time, and over and over until you have it down pat. Brattleboro Reformer, Keene, N.H.